You are here: Home / LED Guide / Utility guide to choose the right led strip lights! Utility guide to choose the right led strip lights! LED strip lights,known as LED Tape lights,ribbon lights,are one of the earliest led lighting products almost ten years ago, it can be used in a variety of ways, for indoor or outdoor lighting (ceiling,wall,ground,window,swimming pool,almost everywhere). Buying LED strips may seem straight forward, but there are actually many different factors that buyers need to take into consideration to ensure they get the right led light strips for their needs. LED strip lighting: individually triggered for chasing, strobing, and color changing. 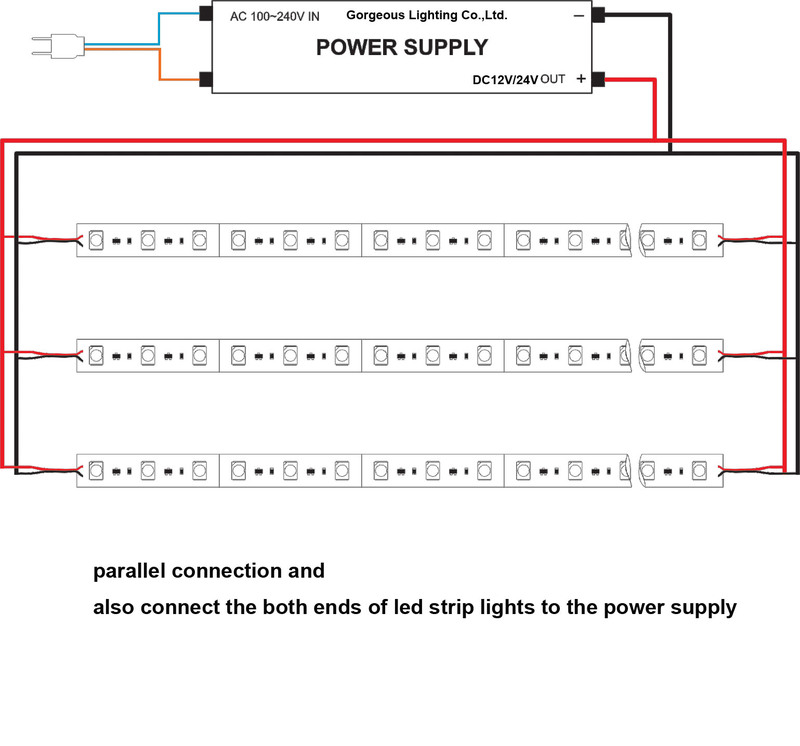 LED strip light require a driver and typically operate on 12 or 24 volts of direct. An LED strip consists of a self-adhesive tape and substrate on to which LEDs are placed at regular intervals. Once installed and power applied, the whole length of the strip is illuminated producing a forward light. LED strips make a great addition to any domestic or commercial environment. They are inexpensive and easy to install and can change the mood and look of a space instantly. If one talk about the brightness or lumen of ledstrips, the light color must be white (warm white, natural white, pure white or cool white), because the brightness of other light colors such as red, green, blue, yellow, pink is very low, the light colors (except white ) are mainly for decorative lighting purpose. The flexible led strip light is considered as one of the decorative light product in led light industry. Some led light suppliers told the customers that they may not even want the light to be bright, such as if you are using it for accent lighting. (However, we have used led strips for main lighting purpose in some of our projects, and the lighting performance is very well,need more information, please contact us). It will be much easier for people to count the output lumen of one meter led strip light. There also has 3014 SMD led, but it is abnormal, I believe there will have many better SMD led types in near future. I’ve heard some companies told the clients that SMD 3528 is not suitable for accent lighting or ceiling lighting, that’s not correct, you can adopt 120pcs per meter or above 3528 LEDs, the ceiling usually needs several meters (usually has a circumference more than 10 meters). The key point is not the type of LED, but the total brightness. At present, led strip lights have three types of light colors: single color, color changing, and RGB LED Strip. Single color: white color (color temperature: 2600-7000K), red, blue, green, yellow, and pink. Color changing: warm white to cool white (2700-6500K) (or cool white to warm white is available as well), it is also called Bi-color led strip light. The principle of color changing is to adjust the color temperature of the led, then the light color will be changed accordingly. The last type of light color is RGB color: Multiple colours and addresses. 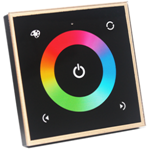 Red, Green and Blue LEDs that are mixed by using a remote control to produce a wide range of colours. 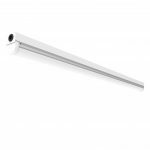 Each LED has its own chip meaning they can be individually triggered for chasing, strobing, and colour changing. Warm white(2700-3500K) can be used when people need comfort, ease and warm surroundings. It is widely used for living rooms, bedrooms,lobby and hallways. 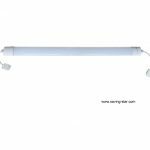 Natural white(4500-5500K) and Cool white led strip light (6000-7000K) for outdoor and task lighting, office building, Bathrooms, school and public area which need bright light. However, there is a study showing that,warm environments don’t just make us more productive – they also make us happier. In my opinion, the color temperature under 4000K can be used for some places need warm surroundings(I call it relaxing area), and the color temperature 5000-5500K can be used for work or study area, the color temperature above 6000K can be used for the area where needs the brightest light. 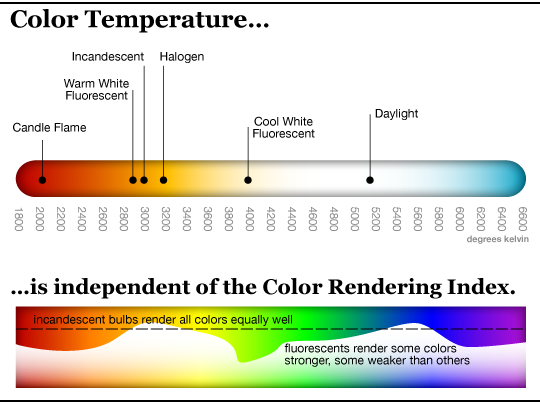 In conclusion, different areas need appropriate color temperature. Not one building with only one color temperature. #3 Waterproof or Non-waterproof ? There has waterproof led strip lights and non-waterproof LED strips to meet different needs of the application. IP rating stands for “Ingress Protection”. This rating determines how waterproof and dust / small object proof a strip is (Refer IP Rating Lookup Table).In general, IP rate under IP65 is non-waterproof, if one need install led strip in water, the IP rate must be IP68. Non-waterproof IP20 (popular) – perfect for indoor use and in areas without humidity and dust. Epoxy coating (not popular now) IP44. Gel coating (popular) IP65 – for areas prone to dust and humidity such as kitchens, bathrooms, garages, and workshops. Also okay for outdoor locations and gentle exposure to water/rain. Please note, silica gel is the best one, which is in high grade of transparency and can work under the temperature is 40 centigrade below zero. Gel coating type has better transmittance than hollow plastic plastic sleeving one. Hollow plastic sleeving (silicon tube and PVC tube) IP65 (popular) – It can be used the same area as Gel coating type, but it is cheaper, and more likely to work for outdoor lighting. The lead time is shorter than the gel coating type. Plastic sleeving with gel filling (popular)– only necessary for submersion in water up to 1m deep. Such as install in the swimming pool, outdoor footsteps etc. LED strip light should be driven by DC low voltage power supply, which means it need a power transformer/led driver/AC/DC adapter). To select the suitable led driver (power supply/transformer/adapter) depend on the total wattage consumed by the flexible LED strip lights that will be attached to one power supply/transformer. This can be calculated by using the wattage per meter or ft information for each flexible LED Strip light. You also need to add the power consumption of the led driver, due to the power efficiency is 80%-85%, its maximum capacity (i.e. a 100 watt led driver should only be loaded with LED strip lights with a wattage draw of 85 watts at the most). Normally, led driver in higher power, the power efficiency will be higher accordingly. It is very easy to select the right led driver not only for your led strip lights, but for most of other led lights, because the power efficiency of most of the power supply is 80% to 85% in the market. (Unless you use the led driver has the power efficiency more than 90% ). After you choose the right wattage of the led driver, now, you should consider the voltage. How many meters of led strip lights can be connected? 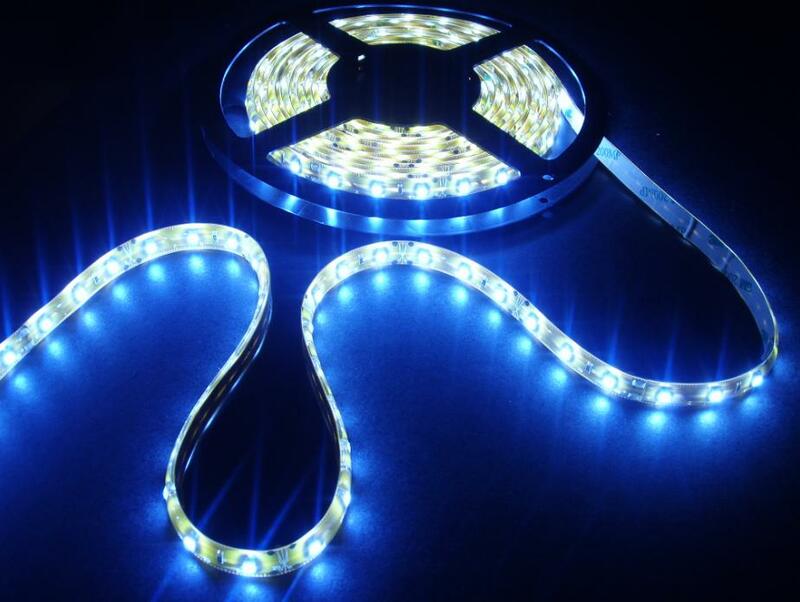 Normally, SMD 3528 LED strip lights, its connection distance up to 20 meters, however, SMD 5050 one can work with a maximum connection distance of 15 meters. Why? Voltage drop describes how the supplied energy of a voltage source is reduced as electric current moves through the passive elements (elements that do not supply voltage) of an electrical circuit. Whenever a current is flowing, the current will meet dynatron, which will impede its flow, the amount of voltage loss through the entirety of a circuit, or even a part is voltage drop. In low voltage lighting systems such as LED strip lights, voltage drops occur because the input voltage from the power supply gradually decreases over the length of the strip. Voltage drop is a function of wire length, wire thickness, and the total watts of power used by the flexible LED strip lights. A reduction of brightness and color accuracy in longer flexible LED strip lights is due to excessive voltage drop. The excessive voltage drop may result in unsatisfactory operation of, and damage to, electrical outlets and the flexible LED strip tape lights. The distance from the power source to the desired end distance of the flexible LED strip tape is called a run. Shorter and/or thicker wires will raise the brightness and color consistency to the strip lights’ full potential. As mentioned above, SMD 3528 LED strip lights, its connection distance up to 20 meters, however, SMD 5050 one can work with a maximum connection distance of 15 meters. 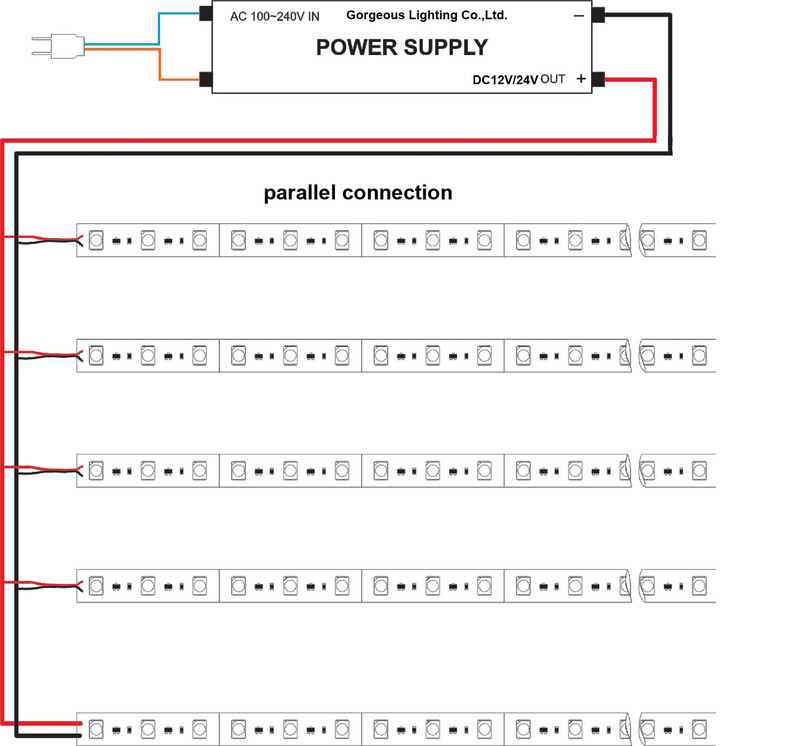 Every 20 meters of SMD 3528 led strip lights need one power supply to avoid voltage drop. 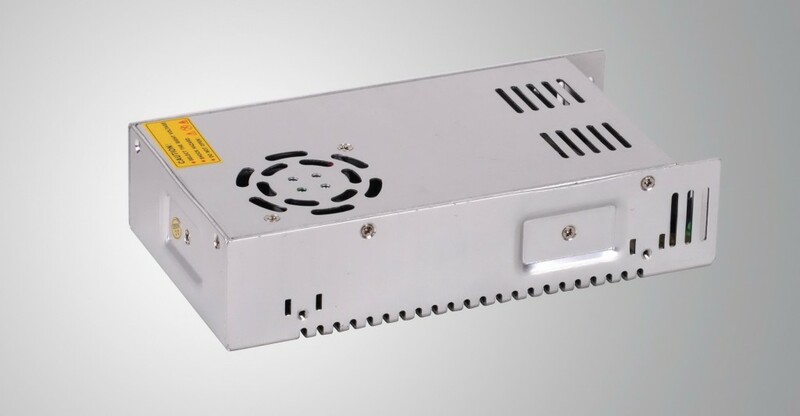 The power supply/led driver has non-waterproof, waterproof (there also has rain-proof). You can always find the information about waterproof or non-waterproof based on IP rate or description, which will be marked on the label of the power supply. Besides, the IP rate, power supply should have protections of Short circuit/Over load/Over current, and it should pass100% full load burn-in test. The power supply should be CE, GS, UL, SAA, FCC, VDE, RoHS approval to compliance with different needs of the market. Different market requires different certification. 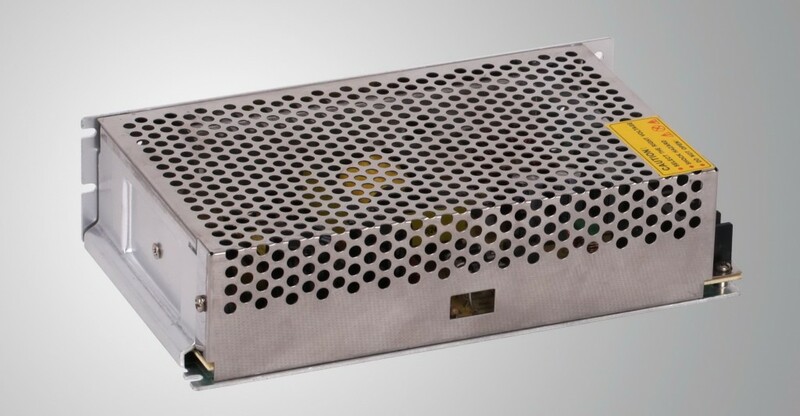 One more thing about the installation of the power supply, make sure you should have enough space (not enclosed space) for heat dissipation, because the power supply needs cool by free air convection. If you are looking for more information of led driver, please contact us, which is our power supply department. The RGB led strip lights or light bars can be controlled by DMX controller. 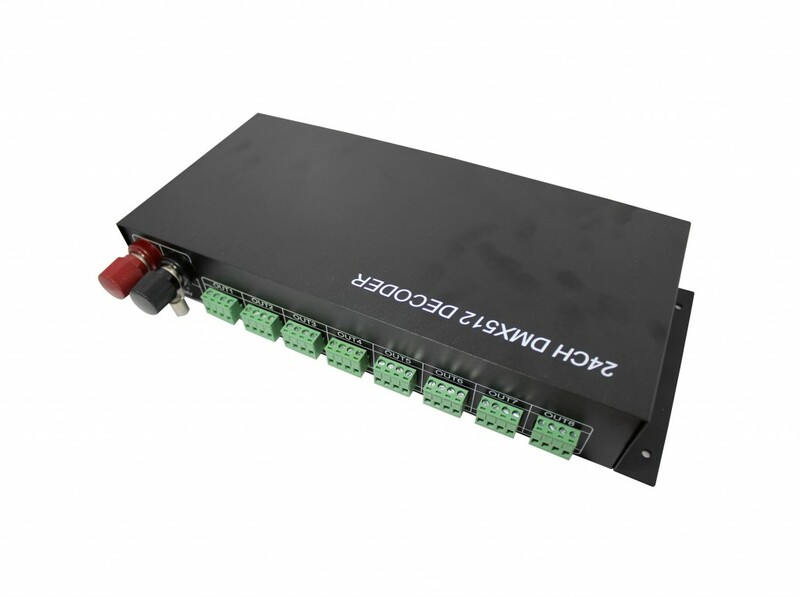 DMX common controller adopts the advanced micro control unit, it receives standard DMX512 digital control signal and transforms it into PWM signal for driving LED; you could connect DMX controller with DMX digital console to achieve dimming or various changes in procedures. 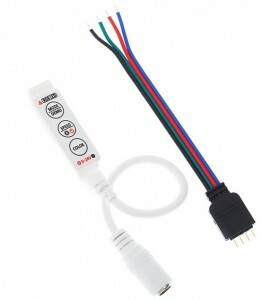 It is used for controlling a variety of led lights. Controller can run in stand-alone mode using Address code switches or under DMX-512 digital control signals using XLR or RJ45 DMX-512 Input/output interfaces. DMX decoding driver converts universal DMX512/1990 digital signal to PWM signal, which can be controlled by DMX512 console with 16-bit gray scale output per channel. It receives standard DMX-512 digital control signals and converts to PWM (pulse width modulation) signals for driving LEDs. 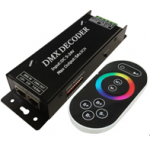 Connect to any DMX digital console to achieve dimming and various color changing patterns. Infrared Radiation (IR) Handheld type: It is one kind of built-in AC-DC conversion can directly connect low AC voltage; it can work with any DC 12V led light, It can control all 4 lines and three channels (common anode or common cathode) led lighting products. 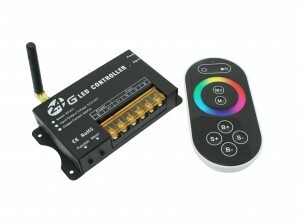 RGB controller has common anode or common cathode for options, it can control all common RGB led lights. It is able to control static modes, custom color programming, or dynamic color-changing modes with speed and ON/OFF controls. It can be used to program custom colors, control and dim any of our Red/Green/Blue (RGB) LED Light Bars and Light Strips. Several different static colors (including pure white) and dynamic color changing modes are directly selectable and adjustable on the IR remote. It can infinitely enlarge the output power by connecting with power amplifier. Radio Frequency (RF) Handheld type: It is automatically adaptation to lamps with operating voltage range of DC5V-24V or DC12-24V, including led strip lights and light bars. Unique synchronization function constricts remote to one controller or to multiple controllers for use with one remoter. 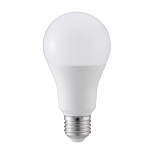 Select from several static single color modes or dynamic color-changing modes with speed, dimming, ON/OFF controls. Do not use this device near water, or moisture for indoor use only. This product should only be operated from the type of power source indicated on the label. When multiple receivers share one remote, it’s possible for the patterns to visually drift apart over time. The single color modes are unaffected and remain synced. 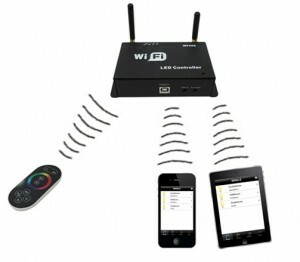 WiFi (Phone & Tablet) control type: RGB LED strips and light bars that will be linked and controlled by one or several wireless remotes or smartphones with the Wi-Fi LED Controller Hub. Synchronization function allows a single remote to operate one or multiple controllers. Before run all controller functions, you need using a Smartphone or tablet download Android or iOS APP offered by the controller supplier, then, you can control when run the APP. It uses capacitive touch technology, easy to operate, beautiful appearance, suitable for commercial or home application. It is able to control different lighting colors of led strip lights, including every single color, bi-color, and RGB color. It can be set up a DALI system. 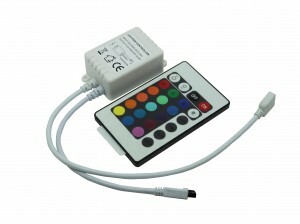 The function can be set as: Dimming control, RGB color control, color temperature (warm white to cool white) and etc. The model can be varies, such as jump changing, gradual changing, stroboscopic and so on. It can infinitely enlarge the output power by connecting with power amplifier. 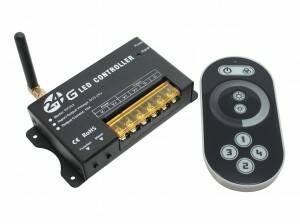 Mini Controller & Dimmer with built-in buttons can control most 5~24VDC RGB LED or single color products. It has several static color modes with brightness control, dynamic color-changing modes and Speed control. Controller can control a maximum of 30 meters of our Flexible RGB LED Strip. Over 30 meters, the strips have to connect with an amplifier to reinforce the transmission of signal. Use one RGB Amplifier for every 30 meters of additional LED Strips. In conclusion, we hope this post would be helpful for you. To search for the best LED strip lights doesn’t have to be difficult so long as you know what to look for. You can check through brightness, light color, IP rate, suitable led driver/power supply and controller just as this ultimate guide shows you. Gorgeous Lighting Co.,Ltd., which is specializing in developing and exporting led strip lights for many years, are very glad to support you and help you in selecting the right led strip lights, power supply and controllers for you. If you have any help for product, installation, or technology information, please feel free to contact us. Our email address: ledlight@saving-star.com and savingledlight@gmail.com. Or call us 86 592 559 4418. Copyright all reserved by Gorgeous Lighting Co.,Ltd.